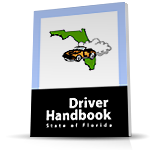 After years of planning and development, Kissimmee Driving School Online is proud to offer the first 4-hour BDI/TCAC BOOKLET COURSE ever approved by the Florida DHSMV. As our student, you are about to take the first and finest course of kind in Florida. There is nothing else quite like it! You will be pleased at the quality and professional design of the course, its convenience, the easy testing process, and the learning retention that a booklet course offers. Our 4-hour booklet program (like other courses) is timed, as required by the Florida DHSMV. You simply call a special toll-free number at the beginning and end of each of the five chapters to verify that time requirements have been fulfilled and answer one security question. Telephone agents are available 6 days a week (MON-SAT 9AM-6PM). Internet verification is available 24/7. The cost of the book course is $45.